We all have an affinity for well-lit, appealing spaces, filled with abundant natural light, that can make our dwelling places not only beautiful in looks but also peaceful in appeal. This is the reason why glazing products have gained so much popularity over a short period of time. Although there is a rising number of such glazing products available in the market, offering you a wide variety to fill your built environments with brightness and sunshine, most customers are still unfamiliar with the whole ball of wax. In fact, deciding on the correct glazing product demands knowledge: which includes the functionality, quality and purpose of the product in question. Besides, you must also have the knowledge of your place to know what is most suitable for you. Therefore, in order to make the most of your experience of these glazing products, you must clearly know the difference between skylights, roof lights, and roof windows. That’s where we can help! Scroll down to learn more. These three glazing products may seem similar while having a cursory look; however, there is a significant difference between the three. Let’s have a look at how skylights, roof lights, and roof windows differ. Skylights are more than just a luxurious item; they are a necessary installation for those living in Northern areas where natural light is minimal. As a term ‘skylight’ encompasses varying products such as the small units installed on the standard pitched roofs as well as the bigger, personalized units to be installed on flat roofs and terraces, like glass box extensions. The Skylight units fitted on a flat roof differ from those installed on pitched roofs. The former ones generally operate on electric motors for providing required ventilation to interiors. Similar to skylights, rooflights, too, are designed for both flat and pitched roofs. 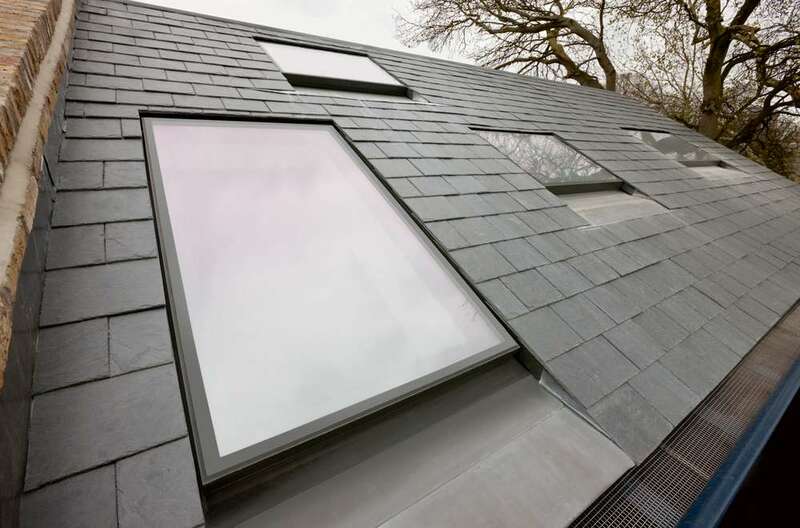 However, in case of pitched roofs, rooflight units are leveled out from the roofline i.e. with the level of the tiling. Most commonly, rooflights guarantee to provide weatherproofing solutions. Hence, they are fitted to certain heights using upstand or kerb system which ensures the unit is watertight. Rooflights have the quality of maintaining the original outer aesthetics of a building while permitting ample natural light for interiors. This enables custom rooflights (contrary to skylights) to be fixed within the listed buildings in the UK that do not allow a window to be attached to walls. Roof Windows are more popular among house owners. Not only are they robust and dependable but also pocket-friendly as they are generally accessible to buy ‘off the shelf’ due to their standardized sizes. Unlike rooflights, roof window units are installed on the same level as the roof line, offering aesthetically-delightful clean lines that rooflights can’t provide. However, roof windows have some downsides when it comes to flexibility in sizes. This makes those consumers dissatisfied who desire for adding larger glazing sections on their roofs. Besides, roof windows can be displeasing for interiors of a place as they are typically enwrapped in a visible framework, cluttering the view through the glass.